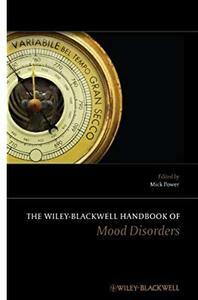 This new edition of The Wiley-Blackwell Handbook of Mood Disorders reflects the numerous, important and fast-changing developments that have occurred in both theory and practice in unipolar and bipolar mood disorders, providing an up-to-date summary of these advancements. Areas of expertise have been updated by original contributors, highlighting key new developments and offering suggestions for the field's future. In addition, this edition includes new sections covering family therapy, medical disorders and depression, and cross-cultural issues. This volume's broad coverage includes innovations in science and clinical practice, with consideration of new pharmacological treatments as well as psychological therapies. In contrast to the usual approach of presenting unipolar and bipolar disorders separately, the Handbook highlights the considerable scientific and clinical advantages of considering issues that are common to both. The Wiley-Blackwell Handbook of Mood Disorders is the only current reference that gathers all of these developments together in a single volume. It will be an invaluable reverence tool for all mental health professionals.